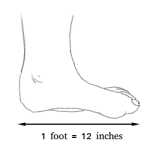 An acute angle is an angle that measures less than 90 degrees and bigger than 0 degree. If the measure of an angle is 60 degrees for example, the angle is an acute angle. The angle shown with 2 red rays is an acute angle. 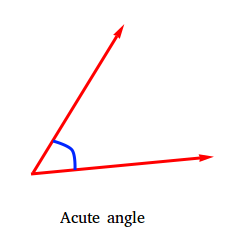 An angle is still acute even if it is slightly smaller 90 degrees and slightly bigger than 0 degree. For example, if an angle measures 0.01 or 89.99, it is still an acute angle.